Residents called for the town’s seascape, with its Georgian and Victorian buildings, to be preserved. 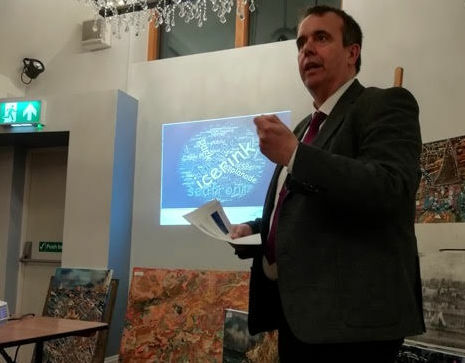 Among protests about lack of information regarding plans for the harbour was a complaint by one of the Ryde Society’s leading figures, Jonathan Dent, that his emailed questions to Cllr Hutchinson had consistently failed to get a reply. A harbour official told the meeting he had only heard through the Freemasons about mooted proposals to sell it off to a dredging company. Ryde Harbour makes a profit, residents pointed out. However, Cllr Hutchinson said money was required for dredging, wall repairs and other maintenance. Highlighting pressure on the council’s budget, he said over the last eight years it has had to save £76 million, and further big savings were needed, due to the Government cutting funding. 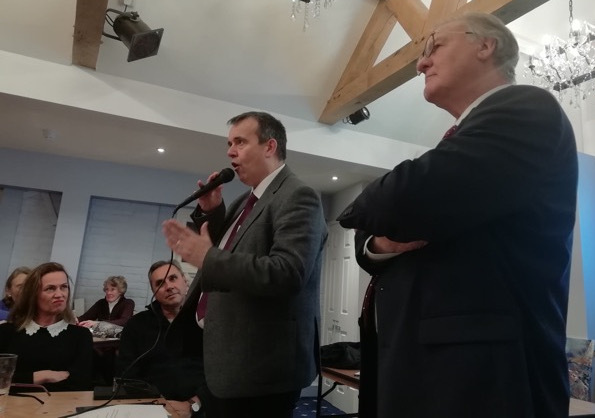 Cllr Michael Lilley said there had been inadequate consultation, the harbour should be listed as a community asset and no further action should be taken until there had been talks with Ryde Town Council – which has offered to buy the harbour for £1. Find out more about The Ryde Society by visiting their Website. * The next meeting to discuss Ryde Town Council’s bid will be at the Garfield Road Methodist Church 7pm on Monday 28th January 2019. 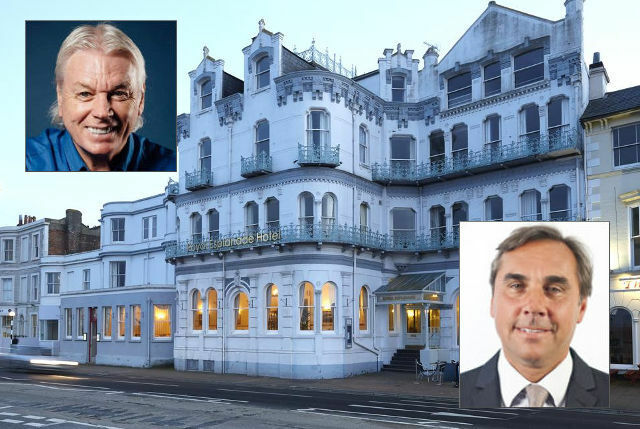 11 Comments on "‘Son of God’ gibe leads to Cllr Whittle labelled ‘vacuous child’ as residents clash with councillors at Ryde Regeneration meeting"
For once, I am in complete agreement with David Icke. Unfortunately this is NOT about David Icke or the Freemasons. I don’t know if you were at Monday’s meeting, you can see it on YouTube. A packed room witnessed the reality. Monday wasn’t a council meeting. I’m not entirely sure what relevance it has to the way the council conducts itself in actual council meetings?